The National Law Journal has named Lucio de Risi, CEO of MEGA as one of 50 worldwide leaders in governance, risk and compliance. This is the first time The Journal has recognized individuals in the GRC arena. The recipients were selected from hundreds of risk and compliance specialists, technologists, legal professionals and others involved in GRC programs. de Risi was selected for his innovation in creating GRC software that integrated with solutions already used by organizations to manage enterprise complexity and improve business results, thus introducing risk and compliance management activities into everyday business operations. 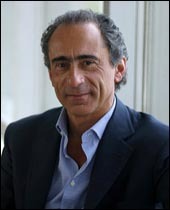 de Risi launched MEGA International in 1991. Today, the company works with organizations around the world, including many Fortune 500 companies, on business transformation and enterprise governance, using innovative advanced technology solutions offered on the company’s unique HOPEX platform. Customers include Aetna, The College Board, Nissan, Procter & Gamble, Starwood Hotels, Swiss Federal Railways, and Walgreens. The company has been honored numerous times by organizations for its innovation and industry leadership and is often cited by industry analysts as a groundbreaker. GRC 20/20 Research, founded by noted GRC expert Michael Rasmussen, recognized MEGA as the winner of its 2013 GRC Technology Innovator Award. Additional citations include Gartner’s Magic Quadrant for Governance, Risk and Compliance Platforms (September 2013), The Forrester Wave: EA Management Suites, Q2 2013 and Continuity Insurance & Risk Magazine’s Risk Assessment Software Report. The National Law Journal is part of ALM, a global leader in specialized business news and information. ALM’s award-winning media properties include more than 30 digital products, 20 publications and countless new multimedia outlets. These include Law.com, The American Lawyer, Corporate Counsel, The National Law Journal and The New York Law Journal. The company has 16 offices worldwide and its brands have been serving their markets since 1843.